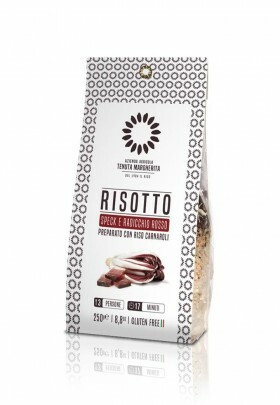 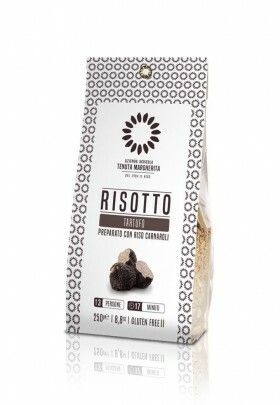 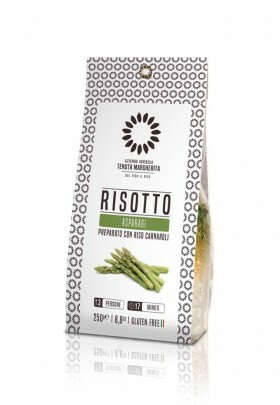 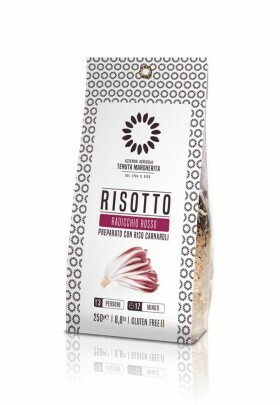 After years of perfecting our recipes, we are proud to present the new risotto line. 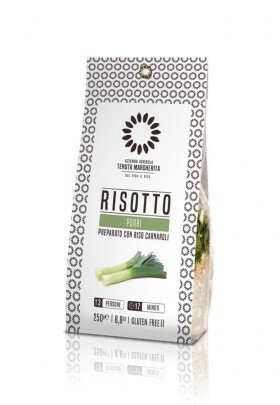 Selected recipes prepared exclusively with our best rice, Carnaroli, combined with the most exclusive ingredients. 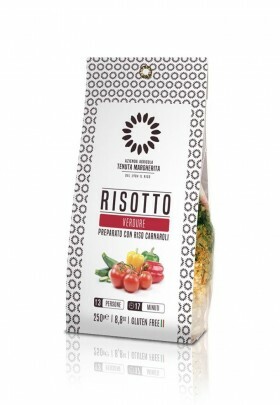 For a healthy, simple and easy to prepare dish. 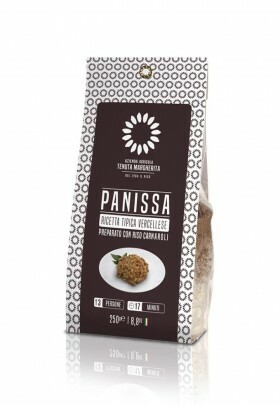 In a pan, sauté the contents of the package in olive oil for about a minute over medium heat, stirring until the rice is well coated with the oil and starts to turn translucent. Add a little bit of white wine and simmer gently until all the liquid is absorbed. Slowly pour 650 ml. of hot water while stirring; allow the water to be absorbed until the rice reaches the desired consistency (about 17 min). 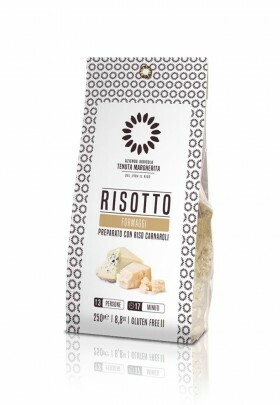 To finish, stir in a knob of butter and Parmigiano cheese, adding salt to taste. 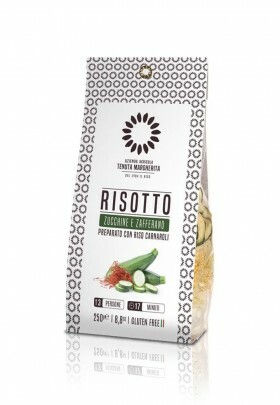 Risotto packs are supplied in a practical display box of 10 pcs.